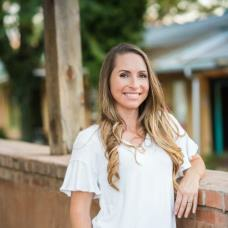 Originally from San Diego, Kristie moved to Albuquerque in 2006 and fell in love with this great city! From hiking the Sandias, to the Balloon Fiesta, to the amazing culture and green chile. This city has it all, but it's the people that really make it great. Kristie loves to help people, and finds great satisfaction in helping them through their life changes of buying and selling homes. Kristie's listings attract buyers with incredible photography, well-staged home decor, and attention to detail. She goes above and beyond for her clients. It is not unusual for Kristie to roll up her sleeves and assist with painting, changing light bulbs, or up-keeping a vacant listing. She will do anything she can to make your experience of selling a house a breeze. Kristie works hard to understand her buyers, and find them a house to meet their needs. She works well with other Realtors to ensure that each transaction goes as smoothly as possible. Kristie is enthusiastic about her job, and the opportunity she has to help her clients have the best home selling/buying experience. Kristie is involved in her community, volunteering in her church, and donating a portion of her sales to charities, including the Children's Miracle Network.